Frederick D. Dilley - Mediator based in Grand Rapids, Michigan. Please click your preferred available date to submit a request. Your Appointment Form will be sent to Frederick's assistant, Teresa McBride. 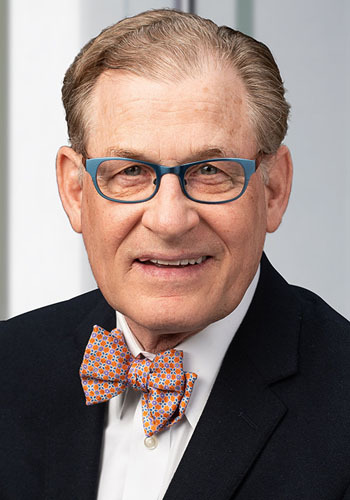 Fred Dilley has been actively involved in the Grand Rapids and West Michigan legal communities in both state and federal courts as a first chair litigator for more than 35 years. He has worked on a variety of complex and difficult matters ranging from business disputes to divorce cases to personal injury matters. For the last 15 years, he has brought that experience to his facilitative mediation and arbitration practice which now represents the majority of his professional endeavors. Fred is a sought-after facilitative mediator. He completes about 100 mediations each year with a very significant success rate and a large number of return users. Attorneys and clients have come to trust Fred's judgment and expertise as a litigator; as a mediator; and as an arbitrator. Fred is also frequently engaged as local counsel in federal and state courts in matters such as patent and trademark infringement, securities fraud and energy litigation involving anti-trust claims. His ability to assist out-of-town counsel in navigating through the local rules, procedures and practices has been of great value to a number of Fortune 1000 companies, their general counsel and outside counsel.